Using heat taping instead of traditional stitching transforms the lightweight SEAMLESS 1.5MM glove into an extremely soft, flexible and tactile hand-warmer. By eliminating the stitching you gain in dexterity in the fingers, making it much easier to push dive computer buttons and handle gear at depth. 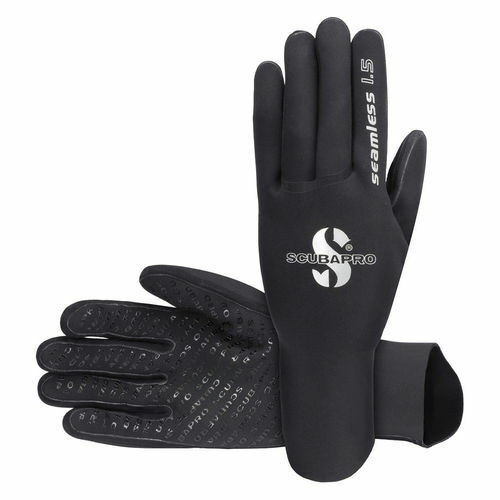 The printed palm is soft while providing a good non-slip surface for easy gripping.